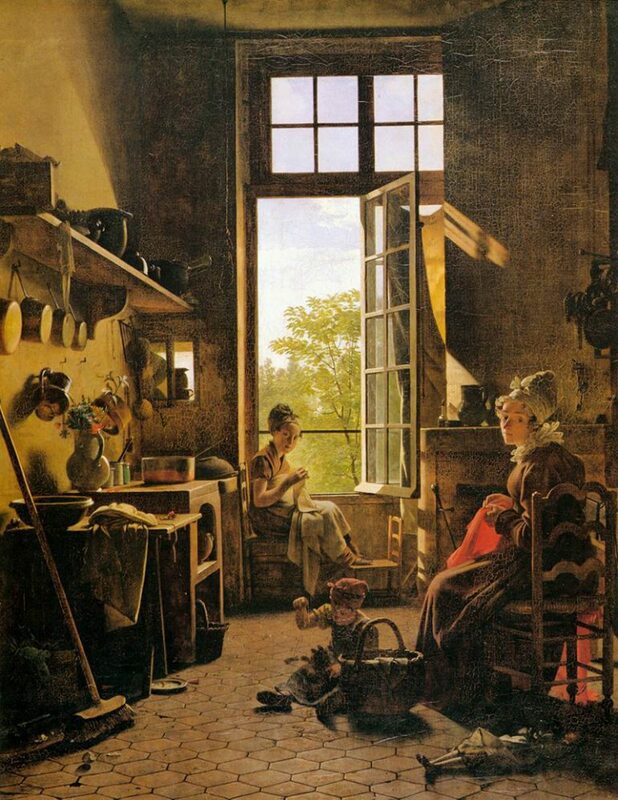 Pictured above is Martin Drolling’s Interior of a Kitchen which currently resides at the Louvre. Painted in 1815, this highly detailed oil on canvas painting is said to be have given fame to Drolling, who went on to create other works with similar themes; relaxed and modestly lighted interiors and other familiar scenes. However, Interior of a Kitchen has another darker claim to fame besides Drolling’s mastery and attention to detail. The brown pigment that was extensively utilized in this painting is called mummy brown and unfortunately, there’s more to this paint than a sinister sounding name. 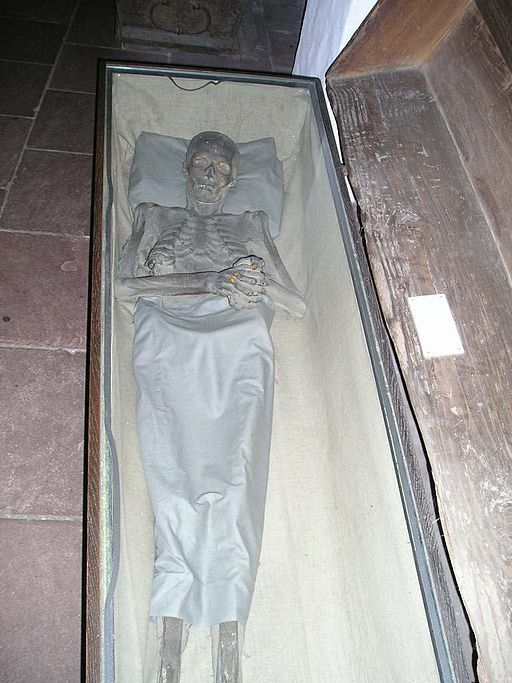 It wasn’t named “mummy brown” just because it resembles the brownish coloration of the famous ancient corpses. Mummy brown was made using actual mummies from Egypt. Mummies were priced for more than the wealth of knowledge than can be learned from studying them. Hundreds of years ago, it was incorrectly believed by many that Egyptian mummies have wondrous medical and even mystic or alchemical qualities. One of the reasons behind this is the fact that bitumen or pitch, a semi-solid form of petroleum, was used in the process of preserving the bodies. In fact, the word “mummy” is derived from the Persian word moom which means bitumen or asphalt. Ancient Greeks used bitumen for different illnesses; a practice was adopted by westerners centuries later. However, bitumen, was hard to come by, so instead of searching for natural deposits, many Europeans resorted to grinding Egyptian mummies. Thus, powdered mummy or “mumia” became a popular drug. The demand for mummies was so great that a mummy trade was established. Westerners headed to Egypt to look for mummies. Countless tombs were looted and the bodies were shipped to Europe where they were ground for many different uses such as medicine, fertilizer, beauty products, and of course, paint pigment. Knowing the widespread desecration and misuse of Egyptian mummies in the past, it is not surprising that they were eventually used as paint. Powdered mummy was mixed with white pitch and myrrh to produce a pigment called mummy brown. The use of mummy brown can be traced to as early as the 1700’s when paint makers began mass producing it. It is said that a single mummy can be used by a paint maker to meet demands for about 20 years. It is widely accepted that mummy brown was popular during the 18th century. As a pigment, it is said that mummy brown mixes really well as an oil pain or even as water color. It became known as a pigment with good transparency and was used for glazing, shadows, and shading. Unfortunately, the practice of manufacturing and using mummy brown endured until the mid-1900’s. However, the idea of using ground-up human remains as paint became increasingly disturbing as time passed. Furthermore, Egyptian mummies became scarce and pain makers just ran out of buddies to use. One account details how Edward Burnes-Jones, a Pre-Raphaelite painter, became horrified when he learned that the pain that he is using was made from human remains. It is said that upon learning about the fact, he rushed to his studio, took the tube of mummy brown that he owned and gave it a decent burial.